Travel expenses are the necessary costs associated with travelling for business. The Australian Tax Office (ATO) provides specific record-keeping requirements for travel expenses depending on the type of travel and the length of time. As a frequent traveller for work, it’s important you understand what exactly is required of you in order for you to claim the expenses, and avoid being overwhelmed by a pile of paper receipts stuffed in your wallet. If your travel allowance is shown on your payment summary, you will be able to make a claim against it so long as you have written evidence of the whole of your claim. The records that you keep will depend largely on the length of your trip and whether it is domestic or international travel. If you have received a travel allowance from your employer and are travelling for under six nights in a row, you need to retain written evidence for overseas accommodation expenses. However, you do not need to keep a travel diary for this short period of time. And if the trip is domestic, you do not need a travel diary or any written evidence of any expenses incurred. Similarly, if you are travelling domestically, there is no need for a travel diary or written evidence of expenses. For overseas travel, however, you will need to keep written evidence of overseas accommodation. You will also need to keep a travel diary which includes specific details about the date, location, time and duration of each business activity you engage in while away. It’s important to note that your claim is subject to you not exceeding the reasonable allowance amount. Every year the ATO releases a Tax Determination listing the reasonable allowance amounts for various destinations, and the the most recent can be found here. ● For travel less than six nights: you must provide written evidence for all expenses for both domestic and international travel, but no travel diary is necessary for either. ● For travel more than six nights: you are required to keep both written evidence of expenses and a travel diary for both international and domestic travel. If you’re eligible to claim expenses for renting a car, or a vehicle other than a car, you will need to retain the receipts for any fuel or oil used, repairs, interest on a car loan, insurance, registration and lease payments. While you are away for business, if you take time for personal travel as well, this part of the trip is not deductible so be sure not to include expenses related to your personal travel activities in your claim. To make keeping track of your business travel expenses a little bit easier while on the road, consider using a mobile app. In today’s app-driven market there are a number of great tools that can help you easily track expenses and receipts on your phone while you’re busy moving around. This app was designed specifically for employees who travel frequently. You can stay on top of your business expenses and receipts by linking the app to your credit card. The app will then import your charges automatically. You are also able to view credit card transactions and add them to expense reports, as well as capture receipts with the camera, so you can ditch the paper receipts. Additionally, it allows you to manage and track business travel through being able to book flights, and hotels, check flight status, and change and cancel reservation. This app is free and can be downloaded to an Apple, Blackberry, Android or Microsoft device. Another great app for frequent business travellers is Expensify. It allows you to take photos of your receipts using Smartscan and create multiple expense reports that can be converted into PDF files. It syncs with your credit cards so that expenses are pulled automatically to the app and is free to download to your smartphone. 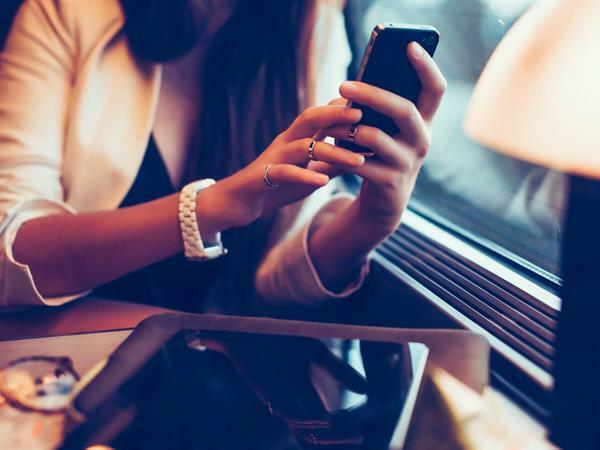 For more information on useful mobiles apps for corporate travel, see our article on the 15 Apps for Business Travellers. When away for business, your schedule is often jampacked with meetings and travel time. Because of this, it can be stressful finding time to keep track of your business expenses. By following this guide and utilising the help of a mobile app, the process of tracking business expenses can become a lot easier. If you need any additional information on keeping track of business travel expenses, visit the Australian Tax Office website.